Engagement of students in a classroom is an important factor in education. Researchers have found that that the most effective teaching happens when students in the room are in sync with one another. However, assessing the classroom environment is not always easy for teachers especially when they teach multiple students at a time. “Sync Class” helps teachers have access to a quantitative representation of how much students are in sync in a classroom. 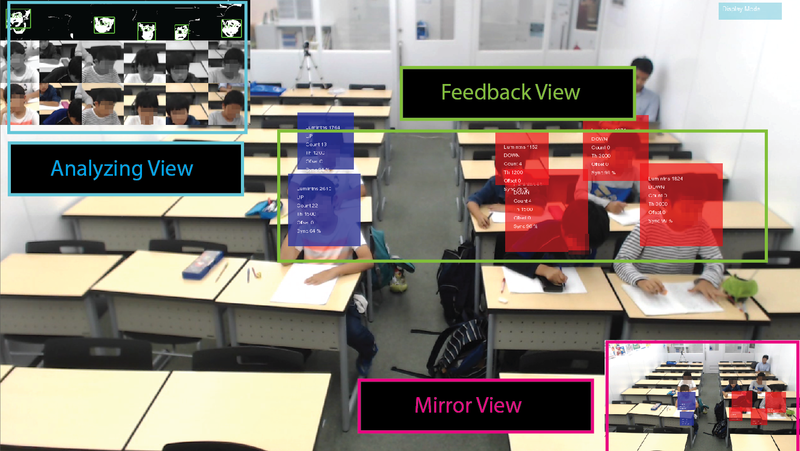 The system has a web camera placed in front of the classroom observing each student’s face. The system visualizes students’ engagement in real time and alternatively, the system can also be used to analyze each student’s attentiveness after class.